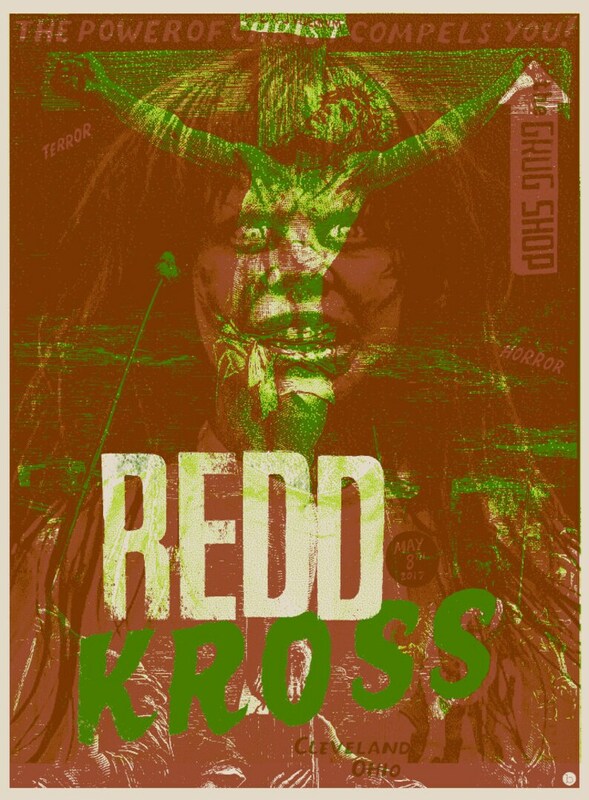 My poster for the Redd Kross show at The Grog Shop in Cleveland, May 8, 2017. The design is based on the origin of the band's name and vintage horror movie graphics. 3 color screen print measuring 18X24 inches and is part of a signed AP limited edition.